Our goal at Oldendorf Medical Services is not only to deliver excellent health care but also to let patients know that we truly care about their needs. 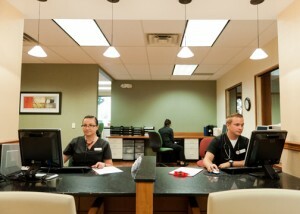 All of our staff are dedicated, caring individuals who strive to create a supportive and helpful atmosphere. We are very proud of our primary care team here at OMS and we hope that their efforts translate into making you feel welcome and well taken care of.